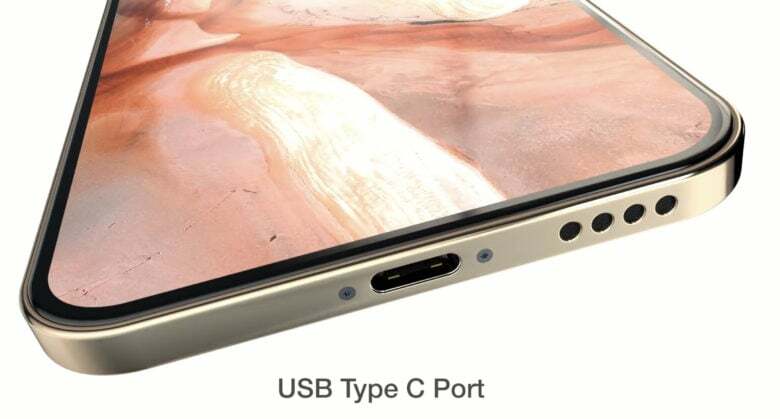 A USB-C port is one of the features rumored to be part of the 2019 iPhone. An artist has compiled many of the recent 2019 iPhone leaks into a video that might — or might not — portray Apple’s next handset. It includes features like the smaller notch that’s many people are hoping for, and a much larger camera bump that no one wants. As Avni indicated, it doesn’t include any new details about the upcoming iPhone but rather demonstrates other rumors and bits of speculation. Multiple sources have indicated that Apple’s next top-of-line model will get a third camera lens. What isn’t agreed on is how these will be arranged. One option is lined up in a row, while another is a triangle layout in a large camera hump. This video seems to combine the two possibilities. Avni even predicts there will more in the supper-size hump: a Time of Flight (ToF) scanner for Augmented Reality. This would run a laser over the environment and use the time it takes the light to bounce back to calculate the distance to nearby objects. Apple is supposedly considering adding ToF to future iPad and iPhone models. Another bone of contention about the next iOS handset is whether it will have a traditional Lightning port or follow the 2018 iPad Pro’s lead and switch to USB-C. Avni opts for USB-C. Speaking of Apple’s most recent tablet, the ConceptsiPhone reflects speculation that the 2019 iPhone will have sharp edges like the recent iPad Pro. Fans of Touch ID keep hoping that Apple will bring the fingerprint scanner back to its mobile devices. This video optimistically shows such a biometric scanner embedded under the display. That doesn’t mean Face ID has been removed, however. It’s expected to get better, and the notch more slender. There have been several unconfirmed reports that future iOS handsets will have a smaller screen cutout than current models, as shown in the video. Nothing definite is likely to be known until this fall when Apple is expected to unveil three new models. These will reportedly have the same 6.5-, 6.1- and 5.8-inch screen sizes as the 2018 handsets they are supplanting.